Are you the front-end developer for our sensor data SAAS platform (Angular), in addition to our motivated team of front- and back-end engineers? Munisense provides online and real-time insight into noise, water quality, groundwater levels and air quality. This allows managers and policymakers to measure real-time; remote, reliable and smarter. Thanks to our smart hardware and powerful software platform. Our smart city solutions measure noise at events, construction or infrastructure, detect fireworks, or measure air quality with parameters like particulate matter and CO2. The data is validated, correlated and visualized for you. This high-quality data contributes to well-founded policy decisions. Our smart city solutions provide online insight into, among other things, noise nuisance, water levels, water and air quality and ensure effective control and improvement of the living environment. Thus we integrate measurement, control and control in your organization, at low cost. Also in places where autonomy for power supply and data communication is of great importance. The city of Leuven in Belgium limits noise nuisances from nightlife for its citizens and prevent damage to the hearing of the nightlife participants. The city has issued regulations that require establishments that play loud music to limit the sound levels and monitor these levels continuously. Munisense supplied the noise monitoring system to about 100 establishments and provides their management and the city with compliance data. The system consists of a sound meter, a display that shows the real-time sound levels, and an on-line portal to view violations and historical data. For more information please see www.horecasense.nl (in Dutch). The Wareco Water Data (WWD) is a turn-key service from Wareco Ingenieurs in the field of managing groundwater networks and monitoring groundwater during construction and replacing sewer lines. Our equipment, cloud platform and services is Wareco's added value to their engineering services. 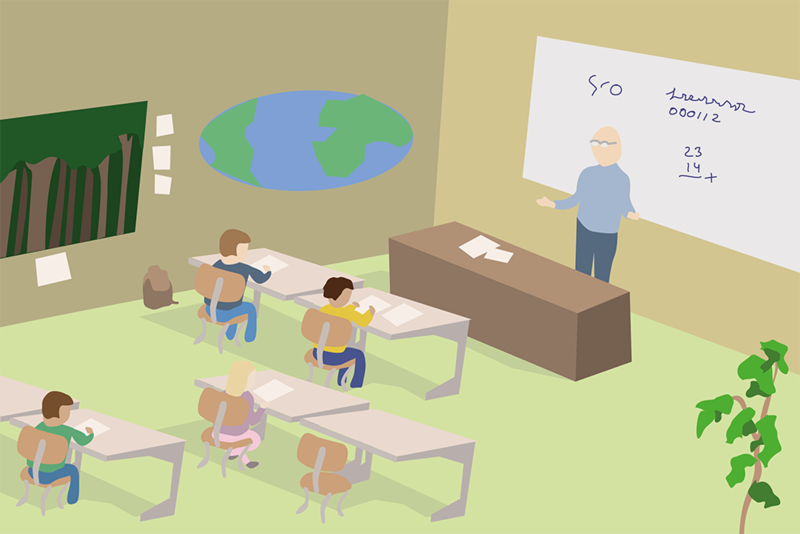 The City of Amsterdam has investigated the indoor climate of its 360 schoolbuildings with our indoor climate meters. Based on the data from these CS4 measurement sets, improvement priorites have been set. Results of implemented improvements are also monitored based on objective measurement data from the CS4 meters in our INSIGHTNOW™ cloud platform. In the management of ground and surface water, the quality of the water plays an increasingly important role. Water quality measurements mainly consist of taking water samples and laboratory tests. Some parameters, however, can also be measured continuously and unmanned. Munisense has integrated a number of sensors from AquaLabo from France into its proven and reliable water meters. This meter - the QU2 - is supplied with the following sensors: oxygen, turbidity, conductivity and acidity. The Rijn en IJssel Water Board will be measuring groundwater levels with Munisense water meters that use T-Mobile's NB-IoT infrastructure. The Rijn en IJssel Water Board manages the groundwater and surface water in East Gelderland, the south of Overijssel and the southeast of the Veluwe. T-Mobile is one of the first nationwide coverage in the Netherlands and was closely involved in the integration of NB-IoT into our online platform. The NB-IoT communication protocol is part of 4G and is ideal for monitoring groundwater. The NB-IoT protocol provides much better accessibility in places that are difficult to reach by radio. NB-IoT equipment can deal with lower signal strength compared to GPRS equipment. 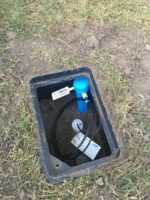 For the groundwater meters, which are often placed below ground level, NB-IoT is ideal. 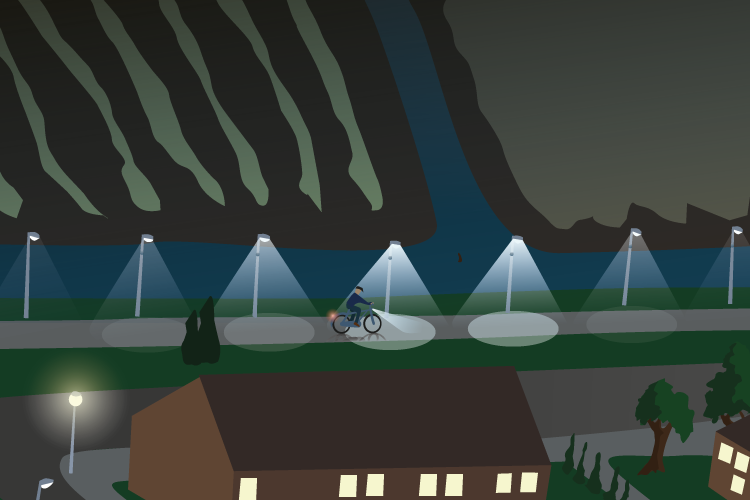 An additional advantage is that, thanks to NB-IoT, the meters use even less electricity and therefore the battery lasts longer. This month, 47 NB-IoT groundwater meters will be active in the area of the Waterschap of some 200,000 hectares divided over 22 municipalities. The groundwater meters deliver measured values every hour and send them real-time via the T-Mobile NB-IoT network to our cloud platform. Thanks to the NB-IoT groundwater meters, the Water Board is given thorough insight into their groundwater levels. Simple, fast and real-time. Every first Monday of the month warning sirens sound at noon. Everyone recognises the sound, but is it still sufficiently effective in the current digital world? The current national warning sirens will disappear in 2020. Commissioned by the Ministry of Justice & Security, the DITSS Foundation in collaboration with Munisense, started developing a warning system that expands the current smartphone project NL Alert. Behind the scenes work is being done on a new version of the warning system, that also clarifies the nature of the alarm situation. 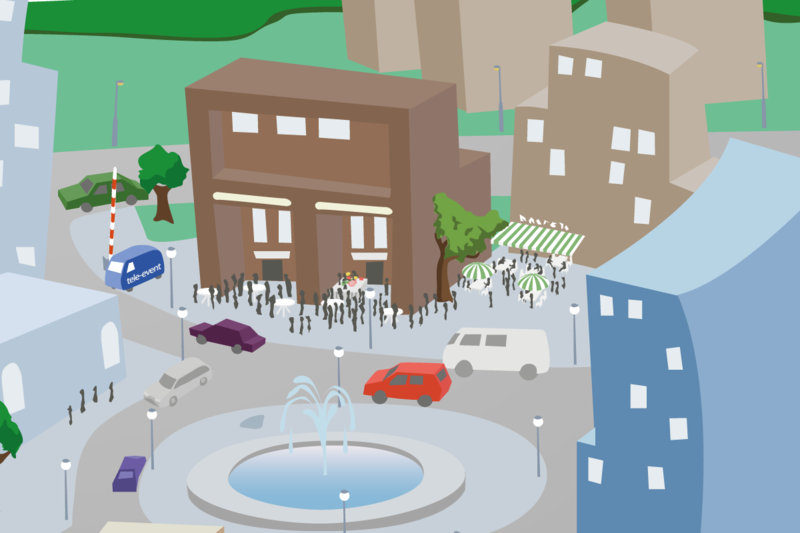 The system we developed was tested in the center of Eindhoven at the beginning of June. In addition to a number of signaling alarms, spoken messages were also broadcasted. The loudspeakers can be controlled individually or by using cell broadcasting. 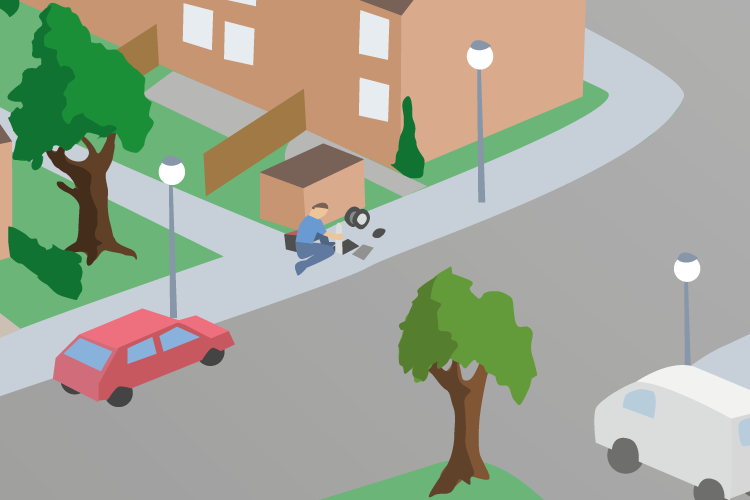 Specific alarm messages can be broadcasted very locally - in just one or several streets or neighborhoods. Both residents and passers-by in that area get precise information about the nature of the alarm situation even when no smartphone is available. Later this month the audibility and intelligibility of the system will also be tested at night. Then it will become clear whether the alarm system is also suitable for awakening people from their sleep and then informing them. The much-discussed experience flight that took place on 30 May gave residents of the areas under the future flight paths of Lelystad Airport an idea of how much noise an aircraft will make. Our noise meters registered the noise of the Boeing 737-800, comparable to the aircraft that will depart and arrive from 2020 at Lelystad Airport. The passages of the airplane could be followed live via munisense.live/belevingsvlucht. 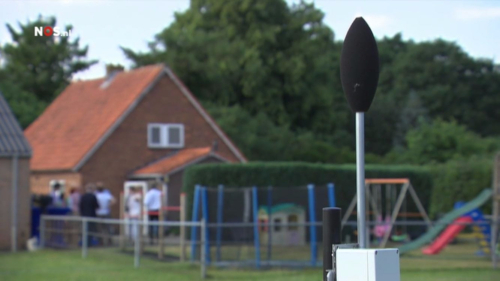 The first results were reported to the ministry of Infrastructure on friday June 1: Results noise measurements (pdf file in Dutch). 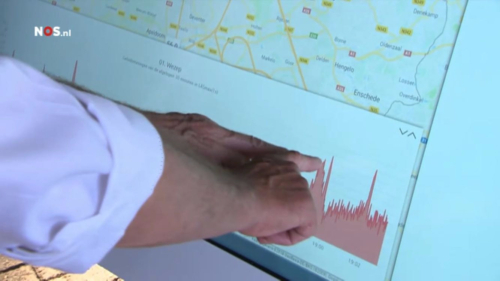 NOS - 8 uur journaal 30 may 2018; the meters and measurements of our noise meters were shown on our online platform. Nu.nl - 30 may 2018; one of the three articles that nu.nl published today. RTL Nieuws - 30 may 2018; varying reactions about the noise level. AD.nl - 30 may 2018; interview with the chairman of the control group belevingsvlucht and with the Ned. Stichting Geluidshinder. On 30 May a.s. the experience flight of Transavia takes place. In this way residents and other stakeholders also gain insight into the noise production of a Boeing 737 at low altitude. The real-time noise measurements are carried out with Munisense meters at 16 measuring points in Gelderland, Overijssel and Flevoland right under the flight paths of Lelystad Airport. At each measuring point a noise meter is installed that transmits the measured values in real time to our online INSIGHTNOW platform. The noise meter continuously measures the sound from the moment of installation. In this way the background noise is also well mapped. The maximum noise level is determined during the passage of the aircraft. After the passage, the measured values are once again checked (in some cases the recorded noise files will be listened) and validated. The noise levels can be monitored live via www.belevingsvlucht.nl. You can link to the map on our platform to monitor the measured noise values per flight path here. We continuously develop and update our products and services with the help of different partners. As a result we offer highly innovative services and products that generate value right away for our customers.